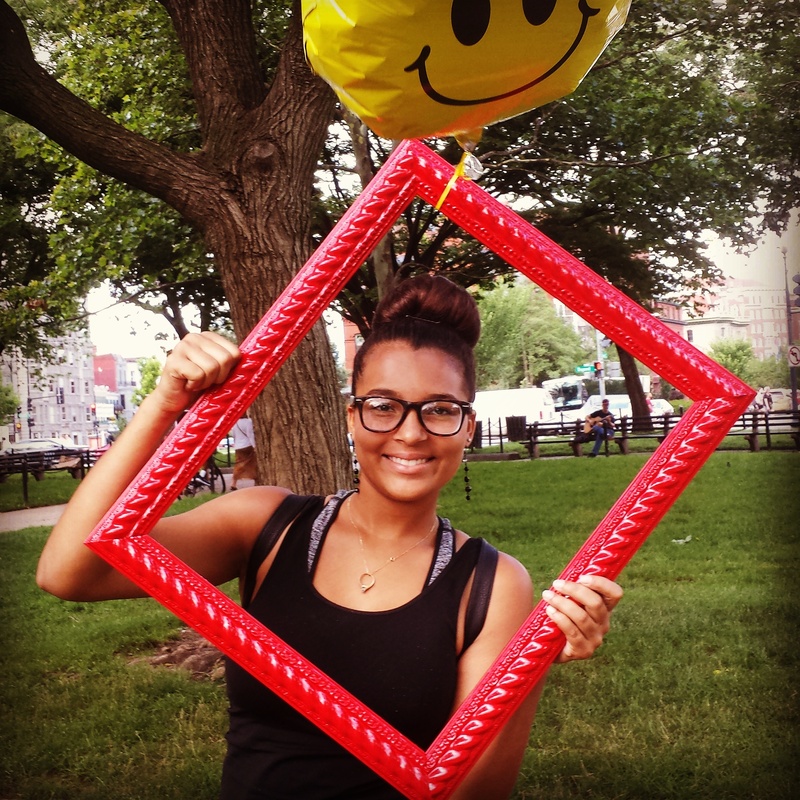 Washington, D.C., July, 19, 2016–Today, the ArtFullness Project and Time Traveling Media release their debut mini doc-series, My Happy Is, which explores how 40 people in the Washington, D.C. area define their own happiness through words, memories and portraits. Given the backdrop of a divisive presidential election year and ongoing tension between law enforcement and African American communities reaching a fever pitch, it’s important to recognize humanity in one another. “Through candid street interviews, Lawrence Green and I sought to expose that regardless of one’s circumstances, geography, class, and upbringing, we are all afforded happiness in this life,” said Jacqueline Lara, Producer and Writer of My Happy Is. Every participant was asked the same three questions, and then asked to pose behind a red picture frame with balloons for a photograph. Due to the region’s transient nature, participants were local residents as well as visitors from Boston, Chicago and Kenya. Some call the quest for happiness a cultural obsession as a quick Google search yields more than 365 million results. And, according to the World Health Organization, over 350 million people around the world suffer from some form of depression. “This film shows how embracing happy moments and memories can become contagious and combat feelings of inadequacy. The human family is very diverse, yet happiness is universally understood,” added Lawrence Green, Director, Cinematography and Editor of My Happy Is. Click to watch My Happy Is. For behind-the-scenes content, visit: myhappyis.tumblr.com. My Happy Is is a doc series that explores how various people define their own happiness—capturing their inner and outermost beauty through words, memories, and portraits. Every participant was asked the same three questions, and their responses reveal we’re more alike than different. Created, Produced, and Written by: Jacqueline Lara of The ArtFullness Project. Directed, Captured, and Edited by: Lawrence Green of Time Traveling Media. Tags: "My Happy Is", Anacostia, arts, balloons, Baltimore, childhood memories, chocolate, dance, Dupont Circle, experimental documentary, friendship, happiness, happy fix, human connection, life, memorabilia, parenthood, relationships, sibling bond, Silver Spring, storytelling, Washington D.C.